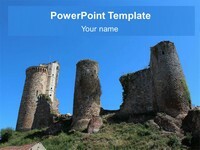 This is a wonderful free PowerPoint template of an old castle. 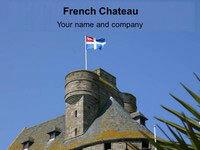 It is a derelict castle which has lost its roof, and you can see sky through the windows. 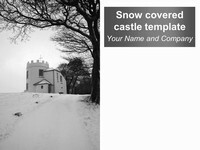 This template would make for a great presentation on the castles of Wales, England or Scotland. 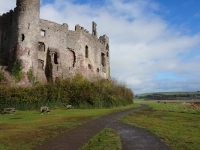 You could use it to talk about the use of castles over time, or about the different types of castle, from the early motte-and-bailey to modern castles which had no military purpose but became homes for the elite. 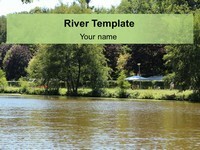 This PowerPoint template could be used for history, religion, literature, drama, geography or classics presentations. A more abstract use could be presentations on psychology. 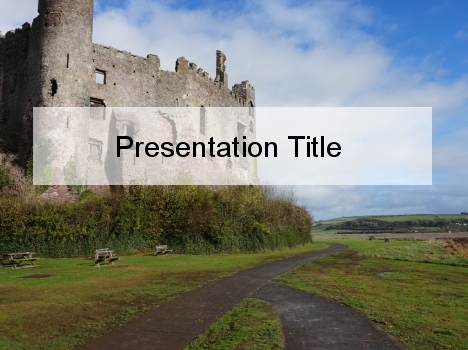 If your presentation is on a specific researcher called Castle it could bring a slightly more creative aspect. Also, the walls of the castle are defences, which can be likened to a person’s defences. 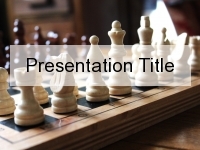 If you have an idea on how to use this PowerPoint template, please let us know in the comments box below.